A comprehensive guide to improving your outdoor photography. 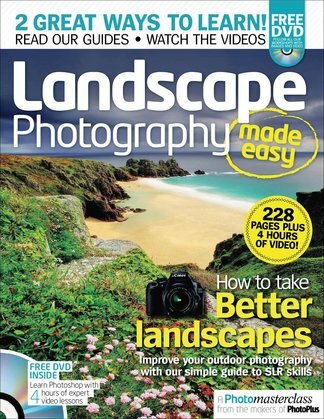 From the makers of Digital Camera and PhotoPlus magazines, this 228-page special is packed with step-by-step advice showing you how to shoot and edit beautiful landscape images. Illustrated with inspirational colour photographs, it features advice from top landscape photographers, as well as providing guides to the best kit. Be the first person to tell us what you think about Landscape Photography Made Easy and you'll save $5 on your next purchase! https://www.isubscribe.co.nz/landscape-photography-made-easy-digital-subscription.cfm 15167 Landscape Photography Made Easy https://www.isubscribe.co.nz/images/covers/nz/541/15167/square/LandscapePhotographyMadeEasy191610140.jpg NZD InStock /Digital/Photography/Landscape A comprehensive guide to improving your outdoor photography.